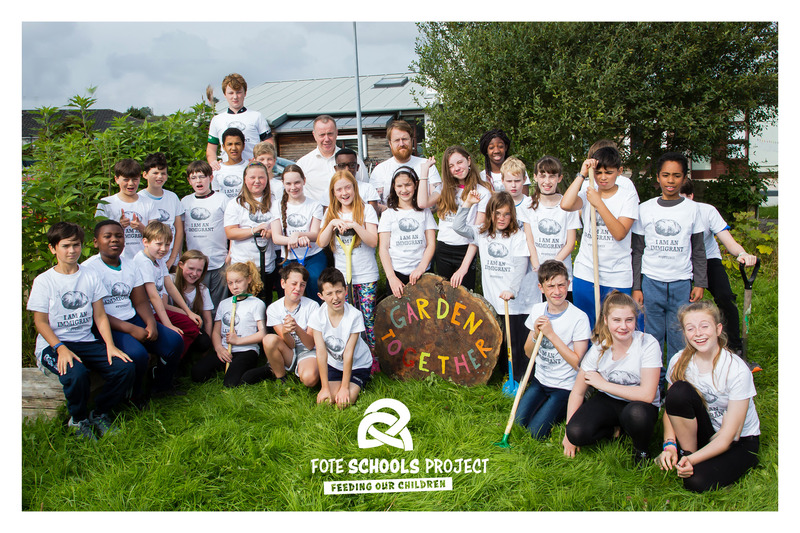 The FOTE SCHOOLS PROJECT is part of an ongoing effort to widen the reach of Food On The Edge, to bring it into places that will maximise its reach in order to help change the way we think about food. A society that puts food first is a society in which we all actively play a part, a society of food security for everyone, no matter what your social standing. In Ireland, we need a mandatory food subject on our primary school curriculum to help children to understand where food comes from. We need a food subject that takes in agriculture, farming, science, geography, history and, of course, cooking! During FOTE2017, we asked delegates and speakers to sign a letter, written to the Minister for Education and Skills, highlighting the importance of a mandatory food subject on the primary curriculum in our schools. Please join us in this campaign, the letter is available to download here. Every child in Ireland should leave school with a basic ability of how to cook, not only to feed themselves and their family but also to empower them and take control of their own food security. We are currently working on designing a workshop booklet that will be available for download. Keep an eye on our social media platforms for updates. We need to learn to value food as a cultural tool to make us better people, to make us healthier people. Join us to make our schools a better place for food education.